I thought I’d write up some notes about Kaspersky, the Russian anti-virus vendor that many believe has ties to Russian intelligence. There’s two angles to this story. One is whether the accusations are true. The second is the poor way the press has handled the story, with mainstream outlets like the New York Times more intent on pushing government propaganda than informing us what’s going on. The mainstream media’s stories have been pure government propaganda, like this one from the New York Times. It garbles the facts of what happened, and relies primarily on anonymous government sources that cannot be held accountable. It’s so messed up that we can’t easily challenge it because we aren’t even sure exactly what it’s claiming. 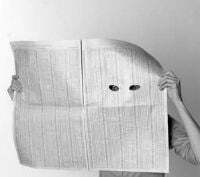 The Society of Professional Journalists have a name for this abuse of anonymous sources, the “Washington Game“. Journalists can identify this as bad journalism, but the big newspapers like The New York Times continues to do it anyway, because how dare anybody criticize them? For all that I hate the anti-American bias of The Intercept, at least they’ve had stories that de-garble what’s going on, that explain things so that we can challenge them. Our government can’t tell us everything, of course. But at the same time, they need to tell us something, to at least being clear what their accusations are. These vague insinuations through the media hurt their credibility, not help it. The obvious craptitude is making us in the cybersecurity community come to Kaspersky’s defense, which is not the government’s aim at all. There are lots of issues involved here, but let’s consider the major one insinuated by the NYTimes story, that Kaspersky was getting “data” files along with copies of suspected malware. This is troublesome if true. But, as Kaspersky claims today, it’s because they had detected malware within a zip file, and uploaded the entire zip — including the data files within the zip. This isn’t to say Kaspersky is telling the truth, of course, but that’s not the point. The point is that we are getting vague propaganda from the government further garbled by the press, making Kaspersky’s clear defense the credible party in the affair. It’s certainly possible for Kaspersky to write signatures to look for strings like “TS//SI/OC/REL TO USA” that appear in secret US documents, then upload them to Russia. If that’s what our government believes is happening, they need to come out and be explicit about it. They can easily setup honeypots, in the way described in today’s story, to confirm it. However, it seems the government’s description of honeypots is that Kaspersky only upload files that were clearly viruses, not data. That’s because on a personal basis, people in government have given me specific, credible stories — the sort of thing they should be making public. And these stories are wholly unrelated to stories that have been made public so far. You shouldn’t believe me, of course, because I won’t go into details you can challenge. I’m not trying to convince you, I’m just disclosing my point of view. But there are some public reasons to doubt Kaspersky. For example, when trying to sell to our government, they’ve claimed they can help us against terrorists. The translation of this is that they could help our intelligence services. Well, if they are willing to help our intelligence services against customers who are terrorists, then why wouldn’t they likewise help Russian intelligence services against their adversaries? Then there is how Russia works. It’s a violent country. Most of the people mentioned in that “Steele Dossier” have died. 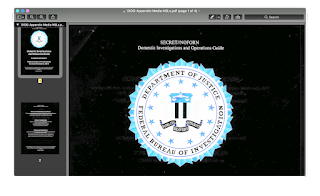 In the hacker community, hackers are often coerced to help the government. Many have simply gone missing. Being rich doesn’t make Kaspersky immune from this — it makes him more of a target. Russian intelligence knows he’s getting all sorts of good intelligence, such as malware written by foreign intelligence services. It’s unbelievable they wouldn’t put the screws on him to get this sort of thing. Russia is our adversary. It’d be foolish of our government to buy anti-virus from Russian companies. Likewise, the Russian government won’t buy such products from American companies. I have enormous disrespect for mainstream outlets like The New York Times and the way they’ve handled the story. It makes me want to come to Kaspersky’s defense. But I hear stories. I don’t think our government should be trusting Kaspersky at all. For that matter, our government shouldn’t trust any cybersecurity products from Russia, China, Iran, etc. It is likely that you are developing some form of (web/RESTful) API, and in case it is publicly-facing (or even when it’s internal), you normally want to rate-limit it somehow. That is, to limit the number of requests performed over a period of time, in order to save resources and protect from abuse. This can probably be achieved on web-server/load balancer level with some clever configurations, but usually you want the rate limiter to be client-specific (i.e. each client of your API sohuld have a separate rate limit), and the way the client is identified varies. It’s probably still possible to do it on the load balancer, but I think it makes sense to have it on the application level. I’ll use spring-mvc for the example, but any web framework has a good way to plug an interceptor. This initializes rate-limiters per client on demand. Alternatively, on startup you could just loop through all registered API clients and create a rate limiter for each. In case the rate limiter doesn’t allow more requests (tryAcquire() returns false), then raturn “Too many requests” and abort the execution of the request (return “false” from the interceptor). This sounds simple. But there are a few catches. You may wonder where the SimpleRateLimiter above is defined. We’ll get there, but first let’s see what options do we have for rate limiter implementations. The most recommended one seems to be the guava RateLimiter. It has a straightforward factory method that gives you a rate limiter for a specified rate (permits per second). However, it doesn’t accomodate web APIs very well, as you can’t initilize the RateLimiter with pre-existing number of permits. That means a period of time should elapse before the limiter would allow requests. There’s another issue – if you have less than one permits per second (e.g. if your desired rate limit is “200 requests per hour”), you can pass a fraction (hourlyLimit / secondsInHour), but it still won’t work the way you expect it to, as internally there’s a “maxPermits” field that would cap the number of permits to much less than you want it to. Also, the rate limiter doesn’t allow bursts – you have exactly X permits per second, but you cannot spread them over a long period of time, e.g. have 5 requests in one second, and then no requests for the next few seconds. In fact, all of the above can be solved, but sadly, through hidden fields that you don’t have access to. Multiple feature requests exist for years now, but Guava just doesn’t update the rate limiter, making it much less applicable to API rate-limiting. Using reflection, you can tweak the parameters and make the limiter work. However, it’s ugly, and it’s not guaranteed it will work as expected. I have shown here how to initialize a guava rate limiter with X permits per hour, with burstability and full initial permits. 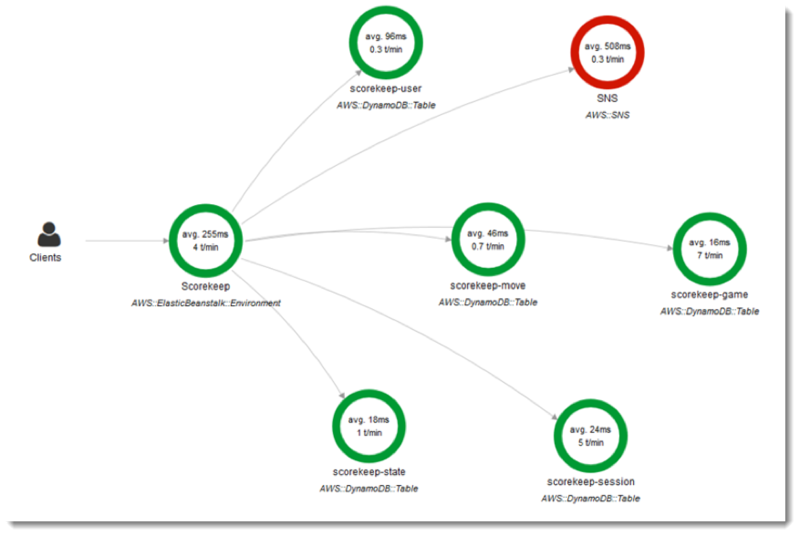 When I thought that would do, I saw that tryAcquire() has a synchronized(..) block. Will that mean all requests will wait for each other when simply checking whether allowed to make a request? That would be horrible. So in fact the guava RateLimiter is not meant for (web) API rate-limiting. Maybe keeping it feature-poor is Guava’s way for discouraging people from misusing it? It takes a number of permits (allowed number of requests) and a time period. The time period is “1 X”, where X can be second/minute/hour/daily – depending on how you want your limit to be configured – per second, per minute, hourly, daily. Every 1 X a scheduler replenishes the acquired permits (in the example above there’s one scheduler per client, which may be inefficient with large number of clients – you can pass a shared scheduler pool instead). 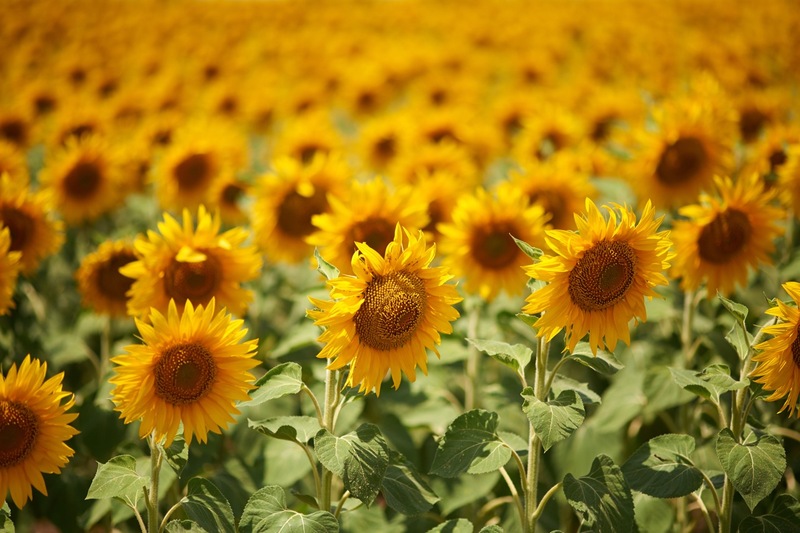 There is no control for bursts (a client can spend all permits with a rapid succession of requests), there is no warm-up functionality, there is no gradual replenishment. Depending on what you want, this may not be ideal, but that’s just a basic rate limiter that is thread-safe and doesn’t have any blocking. I wrote a unit test to confirm that the limiter behaves properly, and also ran performance tests against a local application to make sure the limit is obeyed. So far it seems to be working. On the other hand, how would rate-limiting work properly in a cluster of application nodes? Application nodes probably need some database or gossip protocol to share data about the per-client permits (requests) remaining? Not necessarily. A very simple approach to this issue would be to assume that the load balancer distributes the load equally among your nodes. That way you would just have to set the limit on each node to be equal to the total limit divided by the number of nodes. It won’t be exact, but you rarely need it to be – allowing 5-10 more requests won’t kill your application, allowing 5-10 less won’t be dramatic for the users. That, however, would mean that you have to know the number of application nodes. If you employ auto-scaling (e.g. in AWS), the number of nodes may change depending on the load. If that is the case, instead of configuring a hard-coded number of permits, the replenishing scheduled job can calculate the “maxPermits” on the fly, by calling an AWS (or other cloud-provider) API to obtain the number of nodes in the current auto-scaling group. That would still be simpler than supporting a redis deployment just for that. Overall, I’m surprised there isn’t a “canonical” way to implement rate-limiting (in Java). Maybe the need for rate-limiting is not as common as it may seem. Or it’s implemented manually – by temporarily banning API clients that use “too much resources”. 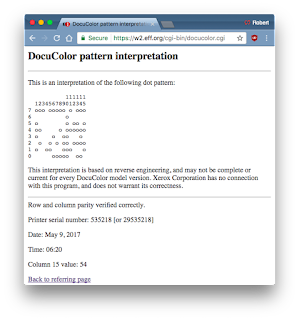 Update: someone pointed out the bucket4j project, which seems nice and worth taking a look at. The post Basic API Rate-Limiting appeared first on Bozho's tech blog. This week brought new public evidence about Russian interference in the 2016 election. 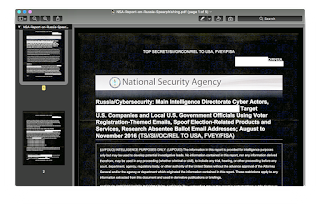 On Monday, the Intercept published a top-secret National Security Agency document describing Russian hacking attempts against the US election system. While the attacks seem more exploratory than operational ­– and there’s no evidence that they had any actual effect ­– they further illustrate the real threats and vulnerabilities facing our elections, and they point to solutions. 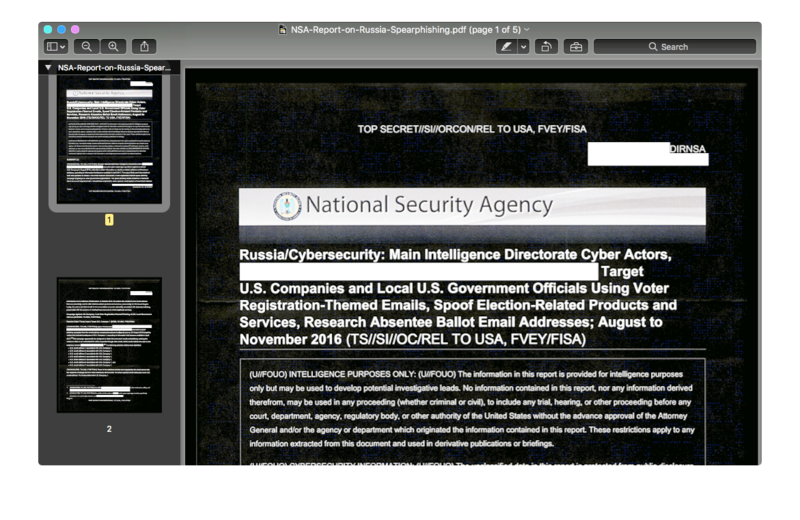 The document describes how the GRU, Russia’s military intelligence agency, attacked a company called VR Systems that, according to its website, provides software to manage voter rolls in eight states. The August 2016 attack was successful, and the attackers used the information they stole from the company’s network to launch targeted attacks against 122 local election officials on October 27, 12 days before the election. Presumably, this document was intended for the Justice Department, including the FBI, which would be the proper agency to continue looking into these hacks. We don’t know what happened next, if anything. VR Systems isn’t commenting, and the names of the local election officials targeted did not appear in the NSA document. So while this document isn’t much of a smoking gun, it’s yet more evidence of widespread Russian attempts to interfere last year. The Intercept sent a scan of the document to another source during its reporting. That scan showed a crease in the original document, which implied that someone had printed the document and then carried it out of some secure location. The second source, according to the FBI’s affidavit against Winner, passed it on to the NSA. From there, NSA investigators were able to look at their records and determine that only six people had printed out the document. (The government may also have been able to track the printout through secret dots that identified the printer.) Winner was the only one of those six who had been in e-mail contact with the Intercept. It is unclear whether the e-mail evidence was from Winner’s NSA account or her personal account, but in either case, it’s incredibly sloppy tradecraft. With President Trump’s election, the issue of Russian interference in last year’s campaign has become highly politicized. Reports like the one from the Office of the Director of National Intelligence in January have been criticized by partisan supporters of the White House. It’s interesting that this document was reported by the Intercept, which has been historically skeptical about claims of Russian interference. (I was quoted in their story, and they showed me a copy of the NSA document before it was published.) The leaker was even praised by WikiLeaks founder Julian Assange, who up until now has been traditionally critical of allegations of Russian election interference. This demonstrates the power of source documents. It’s easy to discount a Justice Department official or a summary report. 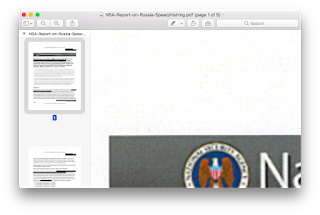 A detailed NSA document is much more convincing. Right now, there’s a federal suit to force the ODNI to release the entire January report, not just the unclassified summary. These efforts are vital. This hack will certainly come up at the Senate hearing where former FBI director James B. Comey is scheduled to testify Thursday. Last year, there were several stories about voter databases being targeted by Russia. Last August, the FBI confirmed that the Russians successfully hacked voter databases in Illinois and Arizona. And a month later, an unnamed Department of Homeland Security official said that the Russians targeted voter databases in 20 states. Again, we don’t know of anything that came of these hacks, but expect Comey to be asked about them. Unfortunately, any details he does know are almost certainly classified, and won’t be revealed in open testimony. But more important than any of this, we need to better secure our election systems going forward. We have significant vulnerabilities in our voting machines, our voter rolls and registration process, and the vote tabulation systems after the polls close. In January, DHS designated our voting systems as critical national infrastructure, but so far that has been entirely for show. In the United States, we don’t have a single integrated election. We have 50-plus individual elections, each with its own rules and its own regulatory authorities. Federal standards that mandate voter-verified paper ballots and post-election auditing would go a long way to secure our voting system. These attacks demonstrate that we need to secure the voter rolls, as well. Democratic elections serve two purposes. The first is to elect the winner. But the second is to convince the loser. After the votes are all counted, everyone needs to trust that the election was fair and the results accurate. Attacks against our election system, even if they are ultimately ineffective, undermine that trust and ­– by extension ­– our democracy. Yes, fixing this will be expensive. Yes, it will require federal action in what’s historically been state-run systems. But as a country, we have no other option. What about other leaked printed documents? So nat-sec pundit/expert Marci Wheeler (@emptywheel) asks about those DIOG docs leaked last year. They were leaked in printed form, then scanned in an published by The Intercept. Did they have these nasty yellow dots that track the source? If not, why not? The answer is that the scanned images of the DIOG doc don’t have dots. I don’t know why. One reason might be that the scanner didn’t pick them up, as it’s much lower quality than the scanner for the Russian hacking docs. Another reason is that the printer used my not have printed them — while most printers do print such dots, some printers don’t. 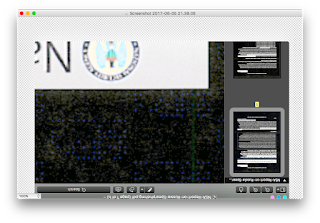 A third possibility is that somebody used a tool to strip the dots from scanned images. I don’t think such a tool exists, but it wouldn’t be hard to write. What we see in the difference is that the scan of the Russian doc is much better. We see that in the background, which is much noisier, able to pick small things like the blue dots. In contrast, the DIOG scan is worse. We don’t see much detail in the background. Looking closer, we can see the lack of detail. We also see banding, which indicates other defects of the scanner. 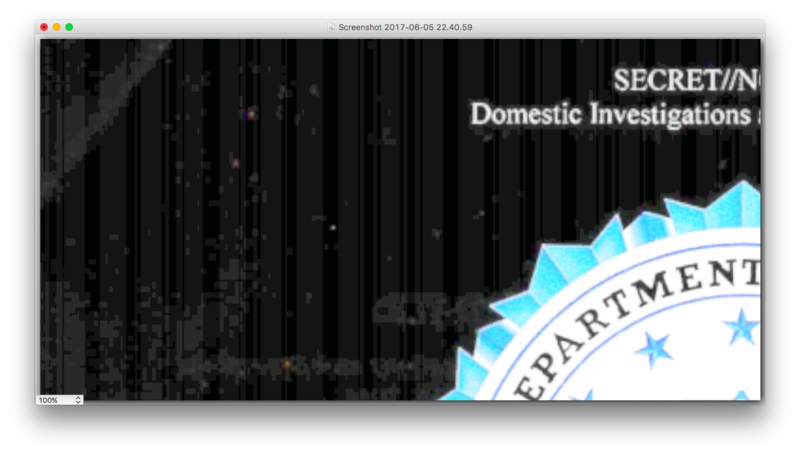 Thus, one theory is that the scanner just didn’t pick up the dots from the page. 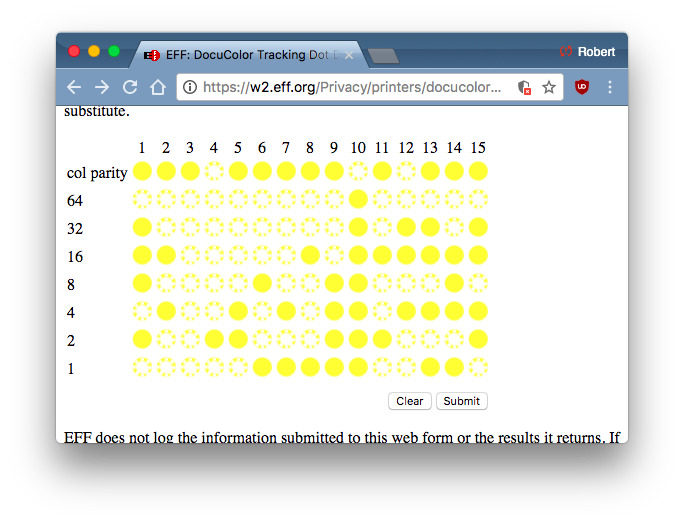 The EFF has a page where they document which printers produce these dots. Samsung and Okidata don’t, virtually all the other printers do. The person who printed these might’ve gotten lucky. Or, they may have carefully chosen a printer that does not produce these dots. The reason Reality Winner exfiltrated these documents by printing them is that the NSA had probably clamped down on USB thumb drives for secure facilities. 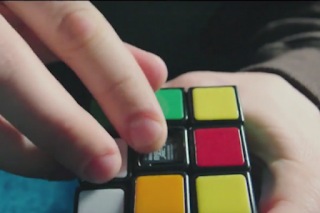 Walking through the metal detector with a chip hidden in a Rubic’s Cube (as shown in the Snowden movie) will not work anymore. But, presumably, the FBI is not so strict, and a person would be able to exfiltrate the digital docs from FBI facilities, and print elsewhere. 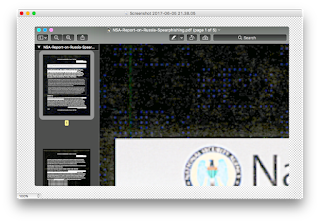 By pure chance, those DIOG docs should’ve had visible tracking dots. Either the person leaking the docs knew about this and avoided it, or they got lucky.